Are you a Linux user group leader? Please see this essay. 1. CocoaHeads Silicon Valley was revived in Jan. 2011 after a two-year hiatus. 2. Internet Developer Group shut down in 2003 (because founder Bill Selmeier suffered burnout). CCSF LUG revived in 2013 but then died again, but its Google Group remains usable. Bay Area Wireless User Group folded. Silicon Valley Linux User Group's last meeting was in July 2018. San Francisco OpenBSD User Group folded. San Francisco Bay Area NetBSD User Group folded. Silicon Valley BSD User Group folded. Bay Area FreeBSD User Group's server seems non-functional; meanwhile, the group has devolved to a Meetup (note). LinuxDojo aka Linux Users Group Hayward was shut down by its founder, Tim Tuck. Oakland Perl Mongers is gone. SoCoSA has been inactive since 2010, but its Web site and mailing lists (1, 2) persist. Smaug ceased to hold meetings in 2012, but its mailing list and Web site persist for anyone who wants to revive it. Linuxstammtische have ended. PenLUG has been inactive since 2011, but its wiki Web site and mailing lists (1, 2) persist. ACCU Silicon Valley Chapter dropped its Internet domain, and devolved to a Meetup (note). BayLISA ceased maintaining its Web site, though all pages except the front one and its mailing lists remain reachable, and has devolved to a Meetup (note). Linux Consultants Lunch will be revived if I re-find its old mailing list roster. 3 Starship Augusta Ada's Web site / mailing list machine has been offline since a 2009 server collapse, even though backups have been found. A substitute Google Group then serve in its place, but activity apparently ceased Jan. 2017. 4. SlugLUG revived in 2014 with a new Web site and discussion and announcements Google Groups. Directions/Transit/Parking: See the ACCU Meetup (note) page. Further Info: See the ACCU Meetup (note) page. It seems as if the group's separate mailing lists are no more. is an active community of Debian GNU/Linux developers and users. What: Holds informal meetings, usually with keysignings, at various places and times. There's a "Shotgun Rules" protocol for calling upcoming meetings (which are sporadic, but traditionally on 2nd Wednesdays), and you should check recent mailing list posts to spot them. Further info: See Bay Area Debian 's Web site and discussion mailing list. meets 2nd Thursdays, 7-10 pm, at Netflix, building F: "Fuller House", 111 Albright Way, Los Gatos. What: The Bay Area's FreeBSD user group, serving the Peninsula, San Francisco, and much of the East Bay. Further info: There is now a Meetup (note) in place of the dysfunctional BAFUG Web pages and mailing lists. By Muni: Any line that goes near the Market or Mission downtown corridors, of which there are many. By BART: Exit at Montgomery, walk 5 very short blocks south on 2nd Street: Cross-streets will be Stevenson, Jessie, Mission, Minna, and Natoma. Turn right (southwest) on Natoma, walk 1/2 block to 110 Natoma on your right. By CalTrain: The San Francisco terminus is at 4th Street and King. Take a cab, or take Muni's 10-Townsend bus to 2nd and Howard. Walk 1 short block further northwest along 2nd to Natoma, turn left, walk 1/2 block to 110 Natoma on your right. By car: Your favourite route to south of Market. There is limited parking, as this is near Moscone Center. Further Info: See BALUG's Web site, discussion mailing list, announce mailing list, and admin mailing list. meets 4th Thursdays, 7 - 9 pm, at LinkedIn, Unify Meeting Room 950 W. Maude Ave, Sunnyvale. What: Study and use of Guido van Rossum's Python programming language. Further Info: See BayPIGgies's Web site and discussion mailing list. meets 3rd Thursdays at 7:30 - 10:30 pmat Paypal (TownHall Bldg), 2161 North First St., San Jose What: For people interested in system / network / related administrative issues for any size system, not just large ones ("large", here, meaning multiuser-capable), and all OS interests. Further info: See the Meetup (note), which BayLISA has almost entirely devolved into, except for its apparently vestigial mailing lists and some other of its former Web pages that are still reachable. meets 2nd and 4th Sundays, 12 n - 3 pm, at 85c Bakery, 21 Shattuck Square, Berkeley. What: Provide a fun and active user and support community in Berkeley. Improve Linux through local projects. Actively promote the spread of Linux and open source in the East Bay. BerkeleyLUG tries to create a community of people who use Linux primarily on the desktop (laptops, netbooks, and mobile devices included). More info: See BerkeleyLUG's WordPress site and forum and Google Group. meets 1st and 3rd Thursdays at 7-9 pm at Cafe Au Coquelet, 2000 University Ave. at Milvia, two blocks west (downhill) of Shattuck, Berkeley. What: A support network for residents of the greater Berkeley area who want to learn and discuss Linux, FreeBSD, Solaris, or other Unix-type operating systems. More info: See the BUUG Web site, which includes info. on BUUG's discussion mailing list. 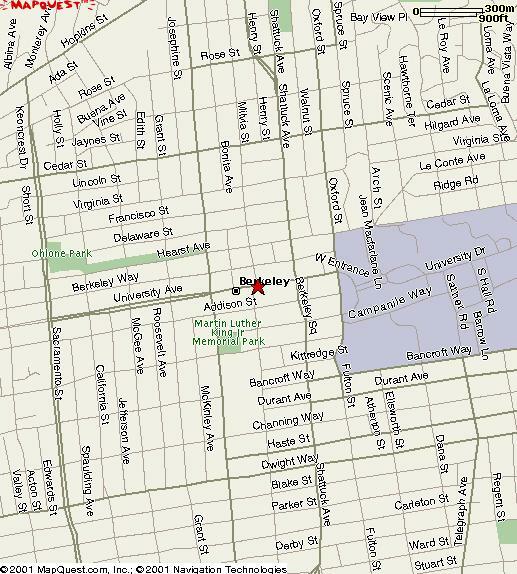 meets 2nd Saturdays, 4 pm - midnight at 1105 Altschul Ave. near Gordon Ave., Menlo Park. What: CABAL coordinates Linux InstallFests / social meetings at 1105 Altschul Avenues. Always feel free to bring computers to install Linux on, using your own or the distributions on hand. There will also typically be a barbecue dinner, in the evening. Further Info: See CABAL's Web site and discussion mailing list. is an on-campus official student group, most recently active in 2014. What: Linux discussion, installation help, library of books and CD-ROMs. Further info: See CCSF LUG's Web site, Google Group, and Facebook page. meets 3rd Thursdays at 7 - 9 pm at Bodega Bay Tech Talk Room, Google, 1950 Charleston Rd. Mountain View What: For people interested in Cocoa programming and related projects. Further info: See CocoaHeads Silicon Valley chapter's Web site and Google Group, and the umbrella organisation's discussion mailing list and announce mailing list. meets 2nd and 4th Fridays at 6 pm inside Caffe La Scala, 1655 N Main St at Civic Drive, Walnut Creek. What: Serving Linux users in the north-east San Francisco Bay Area — Concord, Pleasant Hill, Martinez, Danville, Lamorinda, Walnut Creek, and nearby areas in Contra Costa County — aiming to advocate and spread Linux, do LUG events in the Diablo Valley area, and have fun doing it. Further info: See DVLUG's Web site. There is a discussion mailing list. meets the 3rd Wednesday of every month, 7 - 9 pm, at Hurricane Electric, 760 Mission Court, Fremont. What: Linux events for residents of Silicon Valley East. Further info: See EBLUG's Web site, announce Google Group, and discussion Google Group. helps promote GNU/Linux and free/open source software in Felton and the surrounding San Lorenzo Valley area, meeting 4th Saturdays, 1 pm at Felton Firehouse, 131 Kirby St. behind the Felton community hall, Felton. What: Linux and open source in the San Lorenzo River valley. Further info: See FeltonLUG's Facebook page and Google Group. meets 2nd Tuesdays at 7:30 - 9 pm at the O'Reilly Media building, 1005 Gravenstein Highway North (CA-116) Sebastopol, at the north end of town. What: General Linux coverage. Further info: See NBLUG's Web site, discussion mailing list, and announce mailing list. OLPC-SF is the One Laptop Per Child user group for the San Francisco Bay Area, meeting monthly on a Saturday in the middle of the month, 10am - 2pm at Room 553, SF State Downtown campus, 835 Market, San Francisco. What: To promote interest in the OLPC XO Laptop, generate ideas, and learn from each other in a face-to-face environment. Directions: by car, by Muni, and by BART. Further info: See OLPC-SF's Web site, OLPC-SF's Web page on OLPC Project's wiki, and the discussion mailing list. in the past met 4th Wednesdays, 6 - 8 pm, at Peter Knaggs's townhouse, 2607 Hastings Shore Lane off Redwood Shores Parkway, Redwood City (Redwood Shores, Bay side of US-101), but PenLUG has been inactive since 2011. What: A Linux group for San Mateo County and surrounding areas. Directions and transit details: The group covers this on a comprehensive Web page. Further info: See PenLUG's Web site / wiki, discussion mailing list, and announce mailing list. is a group for users of Linux, FreeBSD, Solaris, Mac OSX, and similar systems. It meets 1st Sundays 11 am - 1 pm and 3rd Mondays 6 - 8 pm of each month, at Cafe Enchanté, 6157 Geary at 26th, San Francisco. Further info: See SF-LUG's Web site and discussion mailing list. meets on various dates as can be arranged, subject to scheduling, somewhere in San Francisco. What: The first San Francisco Bay Area Perl Users' Group. Further Info: See the SFPUG Web site, discussion mailing list, Meetup (note) page, and Facebook page. is a college Linux User Group affiliated as an official student group at SJSU. What: Online discussion among Linux users, with a focus on SJSU. Further info: See SJSU LUG's Google Group. The Web site has ceased to exist. meets first Wednesday of each month at 7 - 9 pm, at Cavium cafeteria, 2315 N 1st St. (corner of Charcut Ave.), north San Jose. What: SVLUG features Q & A, technical presentations, and product demos. 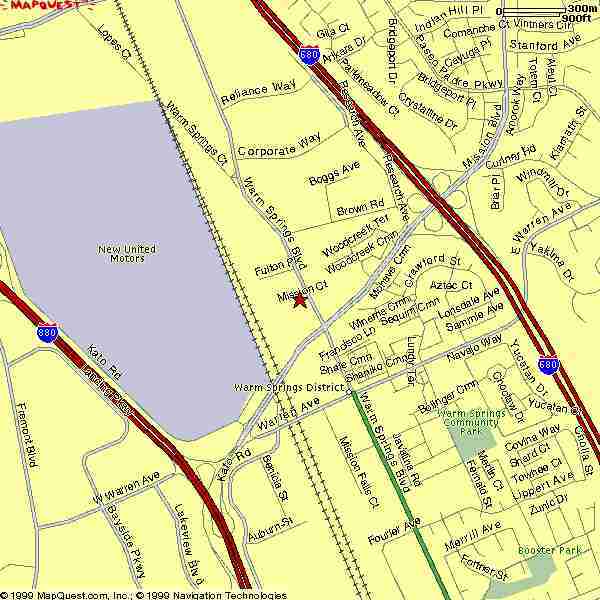 Main Meeting Directions/Transit/Parking: See the SVLUG general meeting directions page, for details. Further Info: See SVLUG's Web site, discussion mailing list, announce mailing list, volunteers mailing list, and related Meetup (note) page. is the Linux user group of University of California at Santa Cruz. What: An ASUC-accredited student Linux group at UC Santa Cruz. Further Info: See SlugLUG's Web site, discussion Google Group, and announcements Google group. serves (mostly) Linux and *BSD users in the greater Santa Cruz area, but has been dormant since 2012. What: A user group for all the truly interesting computer systems, serving the Santa Cruz region. Further info: See Smaug's Web site and discussion mailing list. 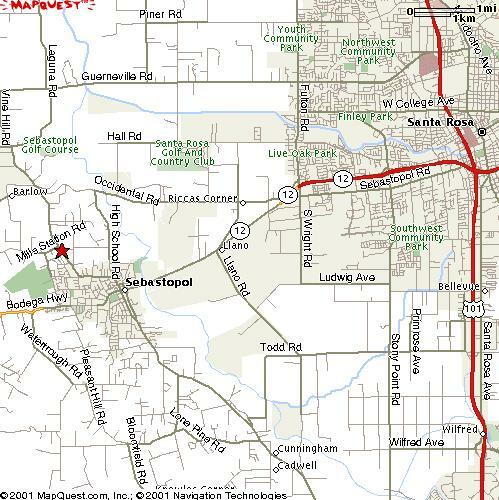 has in the past met 1st Tuesdays at 6 - 8:30 pm at the O'Reilly Media building, 1005 Gravenstein Highway North (CA-116) Sebastopol, at the north end of town, but has been inactive since 2010. What: A group of SysAdmins in Sonoma County and the surrounding areas (Santa Rosa, Sebastopol, Petaluma, Novato, Windsor, etc.). Social hour and food at 6pm, speaker at 7pm, finished at 8:30. Meetings are open to all and free except for the pizza. Feel free to bring your own food. Further info: See SoCoSA's Web pages, discussion mailing list, and announcements mailing list. meets (when meetings are scheduled) the 3rd Tuesday of every month, at 6:45pm in the Gates Building, Room 104, Stanford U. What: Support and educate the Stanford community. used to meet third Saturdays at 2 pm at any of several San Francisco locations, but hasn't lately. (See Google Group postings. Generally at Kawika's Ocean Beach Deli, 734 La Playa near Balboa, Outer Richmond District.) What: A group for those who are fans of both Linux and the Star Trek mythos. It is also a branch of Starfleet International, an SF/Trek fan organisation promoting volunteerism and community service. By car: Your favourite route to San Francisco's Outer Richmond District. By BART/Muni: Muni bus routes 5, 31, 38, and 18 pass nearby. Route 38 connects with Route 28, which connects with BART at the Daly City station, while route 38 itself connects with BART at the Montgomery station. By CalTrain: From the 4th & King terminus, transfer to Muni Metro N/Judah, take that to Montgomery, and change to the 38 bus. Beware of infrequent CalTrain service on weekends. Further info: See Starship Augusta Ada's Google Group, Facebook group, and blog. You can also query ops@starshine.org. The Web site is currently offline. meets every third Monday, 7 - 9 pm, usually at Davis Public Library, 315 East 14th Street nr. F Street, Davis, and every first Tuesday, 7 - 9 pm as a social gathering at Crepeville Restaurant, 330 3rd Street @ C Street, downtown Davis near UCD. What: Geekify the populace, and have fun doing it. LUGOD serves Yolo County and the city of Davis. To the library, by car: From I-80 west, take CA-113 north towards Davis / Woodland. Exit at the Covell / Road 31 exit (the third exit), and turn right onto Covell. Turn right onto F Street (after about 1 mile). Turn right onto 14th Street. The library is on the right (north) side of 14th. Further Info: See LUGOD's Web site, technical mailing list, general mailing list, and announce mailing list. are on a Saturday or Sunday, as can be arranged, 10 am - 6 pm at UC Davis's Kemper Hall, Room 1003. Please RSVP on the InstallFest Web page (linked below). Further Info: See the LUGOD InstallFest page for details including map and directions, for those events. holds meetings (if scheduled) 4th Thursdays at 7 - 9 pm at Hacker Lab, 1715 I St., Sacramento. What: Learn more about Linux, or share your knowledge. By car: From Business Loop I-80 / Capital City Freeway East, take N Street exit (Exit 7A), turning sharp left at the end of the exit onto N Street westbound. Go nine blocks to turn right (north) onto 21st Street, proved ten blocks to turn left (west) on I Street, 1 1/2 blocks to 1715 I Street. From Business Loop I-80 / Capital City Freeway West, take the E Street exit (Exit 7B), proceeding straight (south) onto 29th Street, and going one block along 29th Street to turn right (west) on E Street, then 11 blocks to turn left (south) onto 18th Street, then four full blocks to turn right (west) onto I street, then 1/2 block to 1715 I Street. Further Info: See SacLUG's Web pages and discussion mailing list. Don't just sit there! If you have information on local Linux events, or resources BALE should know about, use this-here handy BALEing Wire to give your fellow Linuxers a shout. Thanks.